-- All bids for the Goshen Springs boat ramp pier upgrades came in over budget. Therefore, all bids were rejected and the project will be rebid. -- A stormwater improvement project at Old Trace Park also came in over bid. The sole bid received was rejected and it will not be rebid. -- The June 18 Gogo's Breast Cancer Foundation Glow Run at Old Trace Park received a special alcohol permit. -- The Board discussed three different tracts of land around Twin Harbor Subdivision in Madison County off Rice Road. The developer of the proposed tracts seeks to build residential neighborhoods on those three tracts. The PRVWSD voted to approve staff recommendations of 1600 square foot minimums for one tract, 2000 square foot minimums for the second, and 2400 square foot minimums for the third. One member of the Board, Jennifer Hall, indicated the square foot minimums would likely harm the property values of the homes in the existing neighborhoods if they were not increased. The recommendations were accepted with a vote of 11-1. -- The Board accepted a bid of $637,400.00 for phase two of the Pelahatchie Bay dredging project. The Madison Police Department, Ridgeland Police Department, Madison County Sheriff’s Department, and the Madison/Rankin County District Attorney’s Office, in conjunction with Leadership Madison County’s D4 Team, announce “Take Back Your Meds” day on Saturday, April 30, 2016. If you have unused, unwanted, or expired prescription drugs, you can turn them in at designated collection areas, no questions asked. 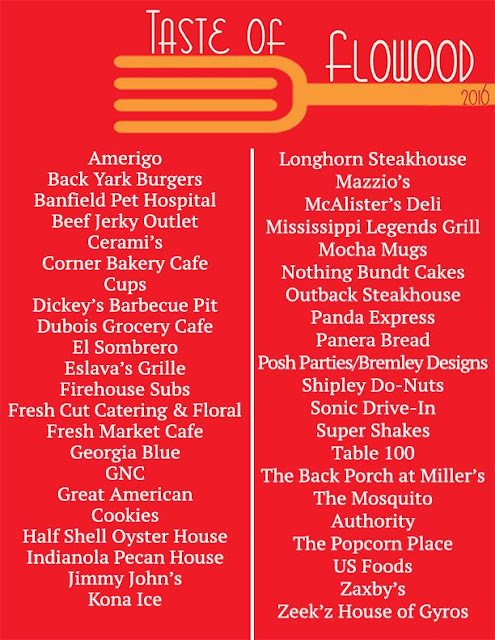 Here is the list of restaurants participating in tomorrow's Taste of Flowood. Look at the below posts for details. Here is the 411 on the Taste of Flowood! Below are two posts from Facebook. 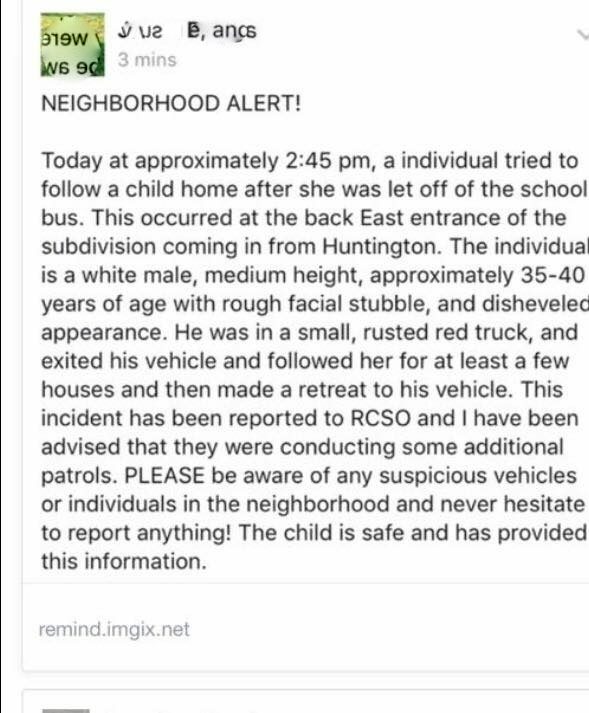 I haven't obtained permission from the original poster, though it is obvious s/he intends to spread the word, so I just blurred the name and other identifying info. 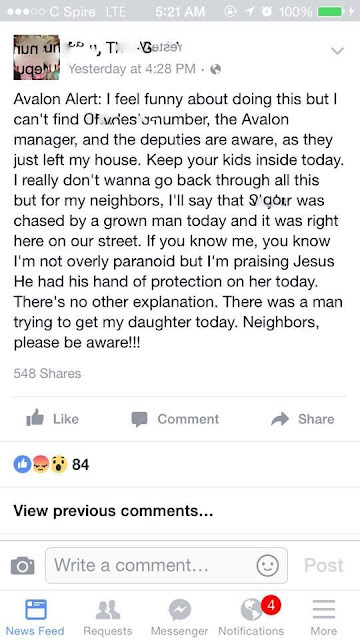 Be safe out there, neighbors. This persons lives in Greenway Estates off of Fannin Landing Circle. There has been a rash of burglaries lately in the Lakeshore at Windrose neighborhood. Items have been taken out of beds of trucks, off porches and even a motor taken off a parked boat. 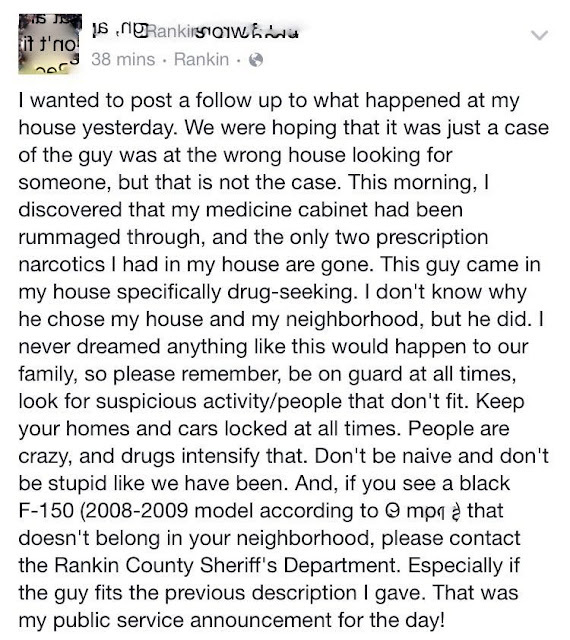 Keep an eye out for anything suspicious. 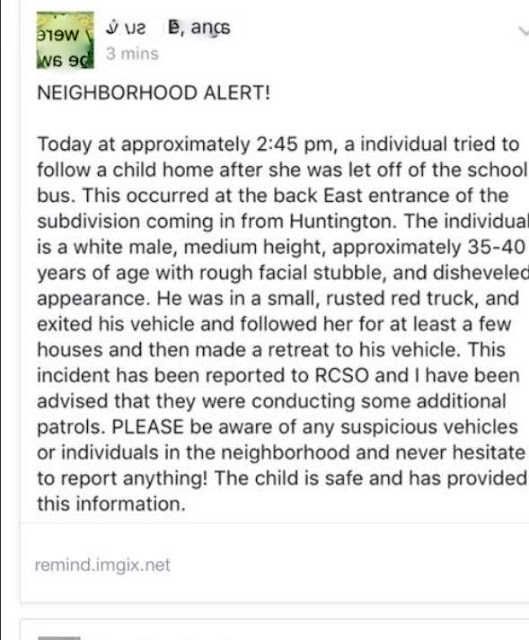 This is typical crime in the Rez area. Great advice is to always keep your vehicles locked if parked outside overnight. Usually, the thieves will go for the easy take, and not risk breaking into a locked vehicle. The Lt. Governor's office sent out the following press release summarizing the work accomplished at the MS Senate this past session. Enjoy. JACKSON – The 2016 legislative session ended today with lawmakers passing the largest tax relief package in state history and continuing to expand access to educational opportunities. Lt. Gov. Tate Reeves successfully advocated for a flatter and fairer tax policy to grow the state’s economy and offer an estimated $610 million in tax relief for individuals and businesses over the next decade. Under the Taxpayer Pay Raise Act, all taxpayers will see a tax cut. Senate Bill 2858, reduced income taxes, eliminated the franchise tax and reduced the tax burden on self-employed Mississippians. Everyone's favorite rescued dog, Coco, continues to improve. Read up on her background story here. The latest Clarion Ledger article includes a heartwarming picture. When the 10-year-old Beagle mix was brought to the Animal Emergency and Referral Center in Flowood, veterinarians promised to fight for her life, but the prognosis was iffy. She was wagging her tail and wanted to be a part of things, but she had sustained severe airway burns in a house fire. The dog had already been through a miracle by most standards -- after knocking down the fully-involved Easter morning blaze at 203 Lotus Drive, Reservoir firefighters had found her still alive under a bunk bed and pulled her from the home. For anything to live through that kind of fire is almost unbelievable. Firefighters administered oxygen to CoCo. To donate to the Gabbie Little Fund to help CoCo and other animals like her, call the Animal Emergency Center at (601) 939-8999. Donations can be made by cash, check or credit card. To help the Henderson family, visit their GoFundMe page or contact Michelle Faulkner at (601) 812-9792 or michellefaulknerrn@gmail.com. Below is the agenda for the PRVWSD Board of Director's Meeting, starting in about an hour. Locals, @SisuRace performs the race timing for the Paws and Claws 5K next weekend. The race opens up the Mississippi Cajun Fest (see post below). 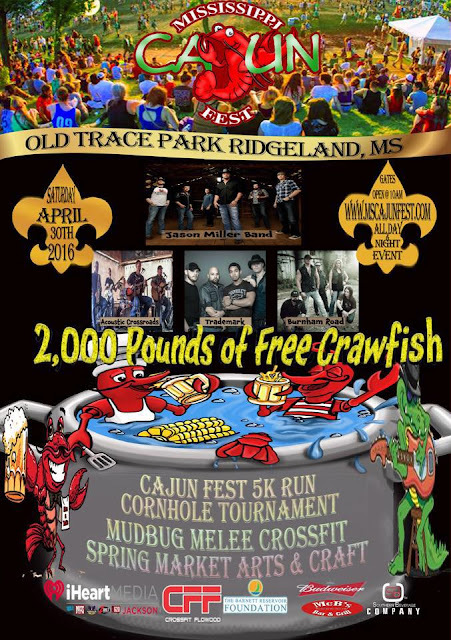 While the entry fee is steep, do not fear, it includes entry into the festival (its non-stop music and its all-you-can-eat crawfish). Plus, the proceeds go to the Old Trace Dog Park at the Rez. Go here to get more info and to register. The race starts at 9 a.m. on Saturday, April 30. Get to stretching. MS Cajun Fest is next weekend! There is a ton of stuff going on. Check out www.mscajunfest.com for more info. 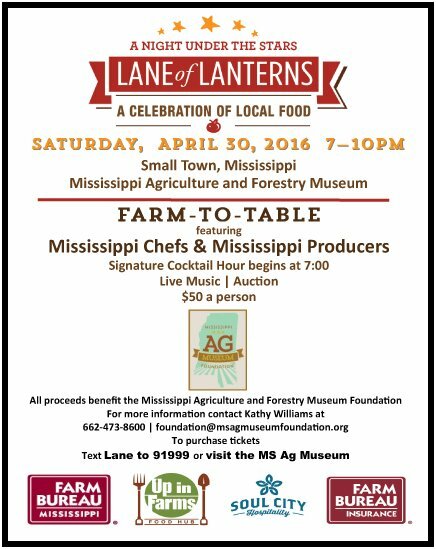 The Governor is headlining a fundraiser for MS Supreme Court candidate, Kenny Griffis, at Table 100 next week. 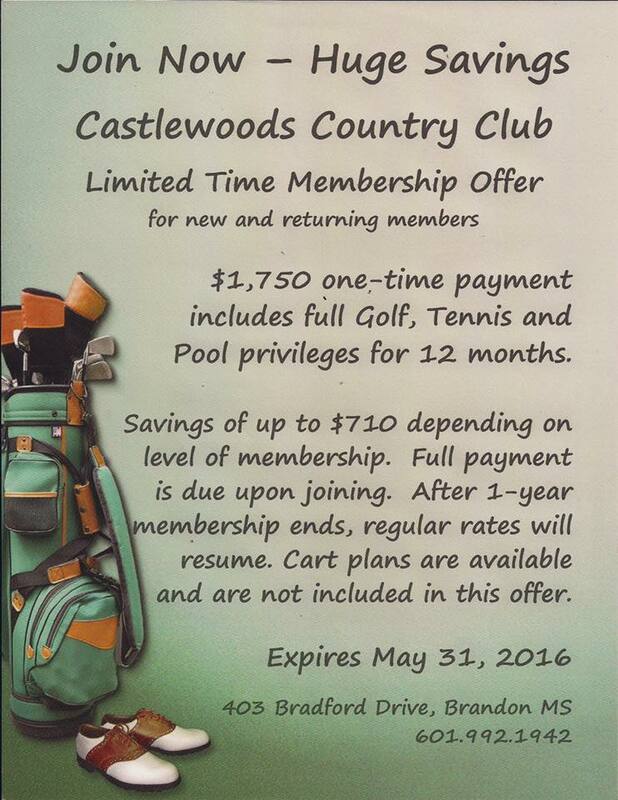 Castlewoods Country Club recently changed hands, and the new owners are wasting no time effecting change. The pool was recently overhauled, the tennis courts will soon be resurfaced, the clubhouse is being remodeled as we speak, and new membership options are available. Keep up with all the happenings at their Facebook page. In addition to Presidents and Congressmen, this year Mississippi voters will elect appellate judges and election commissioners. Plus, there are a few special elections here and there. What can Madison and Rankin County residents expect to vote on this year? Chancellor -- Last year, Governor Bryant appointed Judge John McLaurin to fill the unexpired term of the late Dan Fairly. Judge McLaurin must now run in a special election this year to fill the remaining unexpired term. He has drawn one opponent, Jackson lawyer Jim Nix. The qualifying deadline is May 6. No other are expected to enter the race. Court of Appeals -- Last year, Governor Bryant appointed Jack Wilson to fill the unexpired term of retiring Justice Larry Roberts. Judge Wilson must now run in a special election this year to fill the remaining unexpired term. 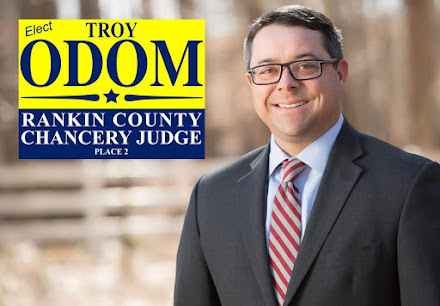 He has drawn one opponent, Madison County Judge Ed Hannan. The qualifying deadline is May 6. Others may possibly enter the race. Election Commissioners -- The qualifying deadline for Election Commissioners is June 6. All Commissioners are up for election. Court of Appeals -- Only a portion of the contested Court of Appeals District runs through Madison County. Essentially, the heavily populated areas around the City of Madison and Ridgeland are included in the district. The vast remainder of the county is not included. County Court -- Earlier this year, Governor Bryant appointed Will Longwitz to fill the unexpired term of Judge Steve Ratcliff. You recall the voters gave Judge Ratcliff a promotion to the Madison/Rankin Circuit Court. Judge Longwitz will have to run this year to fill the unexpired term. I do not know if he has an opponent. School Board -- The qualifying deadline for School Boar is September 9. These terms are staggered, I do not know which districts will be voted on this year for Madison County. The drama department at Northwest Rankin High School is performing Once Upon a Mattress. You can still catch a show tonight at 7 p.m. (doors open at 6:30 p.m.), and tomorrow at 2 p.m. (doors open at 1:30 p.m.). The show is at the Performing Arts Building on campus. Once Upon A Mattress, a light-hearted retelling of Hans Christian Anderson's The Princess and the Pea, is Northwest Rankin High School’s spring theatre production. The musical, directed by Juniper Wallace and Esther Newell, will be performed April 14, 15 and 16 at 7 p.m. and at 2 p.m. on April 17. A Princess Tea will be held on Saturday, April 16, at 1 p.m.
JJ is raising money for kids at Reimagine Prep to visit the World War II Museum in New Orleans. Let's be honest. Kids are going to find history more interesting and fun to study in a museum such as this one than in a book. However, a visit to this museum cost money. Many of the students come from disadvantaged backgrounds and never get a real chance to see such history on display at a museum. If you wish to donate, you can donate to the Gofundmepage set up for this particular trip. The cost of the trip is $2,500. 25 people donating $100 can get it done. Thanks for your help. Here is a link to a JJ blogpost on the topic. I've been to the WWII museum. That is because I have the time and means to visit New Orleans on occasion. The museum is incredible. For an underprivileged kid who may not have been outside of the Jackson Metro area, a visit to the museum could be life changing. This is a great thing Kingfish is doing. 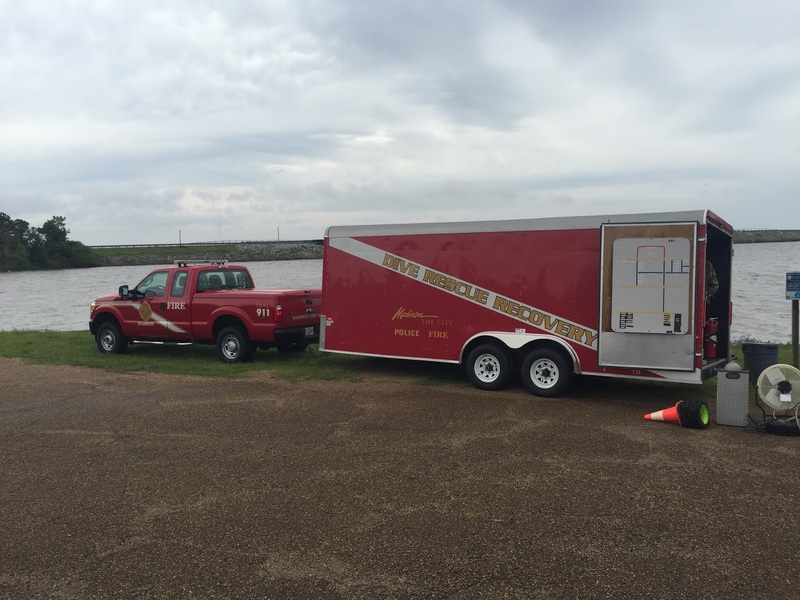 Various fire departments and emergency operations agencies from the Jackson Metro area participated in a training exercise at Pelahatchie Shore park earlier this week. Assistant Chief, Josh Swales, was kind enough to snap these pictures for me. Below are the agendas for the upcoming Parks Policy and Shoreline Development Committees of the PRVWSD Board of Directors. The next full board meeting is Thursday, April 21, 2016, at 9:30 a.m.
Monday, April 18, 2016 3:00 p.m.
1. Approval of minutes of March 14, 2016 meeting. 2. Consideration of bids for upgrades to Goshen Springs boat ramp pier. 3. Discussion of Traffic Control Fees at the District’s public parks. 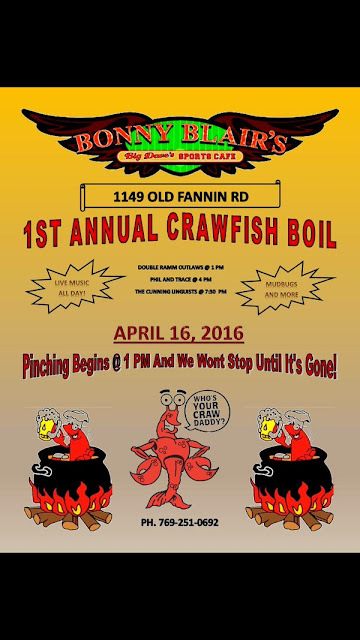 Monday, April 18, 2016 3:30 p.m.
2. Property Maintenance Report for March/April 2016. 3. Reconsideration of Real Estate Bid Proposal 158 – 214 Acres off of Old Rice Road, Madison County. 4. Authorization of advertisement for bids for seven emergency generators. 5. Discussion of service limitation petition to MS ABC regarding the District’s Resort Area. A large tract of land has been clear cut on Vernon Jones Road, behind the Timberview Plaza office complex on Old Fannin Road (near the Hindu Temple). Rankin County land rolls indicate the owner of the approximately 380 acres is LK Skyline, LLC, out of Ft. Worth, Texas. During the expansion of Old Fannin Road, some of the dirt used on the road came from this tract. Now the intended use of the tract shall be for a subdivision tentatively called "Forest River," with 180 some-odd anticipated parcels. The first phase is being constructed now. It is believed the quality of house in Forest River will be akin to Magnolia Place, which is being built across Old Fannin in the Farmington Station subdivision. This looks like an interesting event. Read an article about it from the Jackson Free Press. On Monday, the Governor signed House Bill 845. Don't know about HB 845? Jimmy Gates of the Clarion Ledger wrote an article on it. Here is a link to the bill. It is one of those "resort status" bills which allows for limited alcoholic beverage sales within specific portions of a dry county. Essentially, the relatively small commercial district East of Old Fannin and South of Spillway is in the resort district, bringing it in line with Flowood and the PRVWSD. For practical purposes, Sway's and Fernando's will be able to serve margaritas. This could also be good for the previously controversial Lake Vista Storage Unit land. Now, it could be attractive to use that land for alternate purposes. Don't worry about the golf course language contained in new Paragraph 13 of the bill. That deals with a course in Tate -- not Rankin -- County. 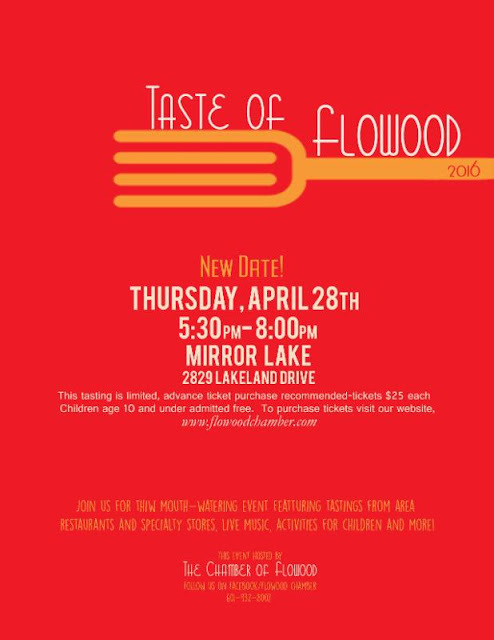 The Taste of Flowood has been postponed from tomorrow to Thursday, April 28, 2016. Same time and place, just a different day. This is your reminder of the public hearing on the proposed expansion of the Reservoir Fire District. The hearing will take place Friday, April 15, 2016, 9:00 a.m., during the Rankin County Board of Supervisors' regularly scheduled meeting. The proposed expansion would include many parts of Old Fannin Road to the Flowood municipal limits (including Bridlewood and Barnett Bend), parts of Holly Bush Road, and Reservoir East/Basswood. If approved, anticipated fire rating for those districts would go from a 10C (essentially no fire protection), to a 6. Anticipated savings on homeowners' insurance would is estimated to be 35% to 45%. There would me a millage increase, however, the savings on homeowners' insurance is expected to exceed said millage increase. Be sure to check with your local insurance agent. 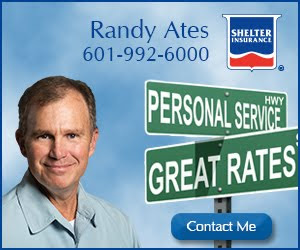 I checked with local agent (and Rez News advertiser) Randy Ates to get an idea of the difference in savings. Using a home in the Barnett Bend subdivision as a specific example, with a coverage limit of $144,000, the premium decreases by over 50% as a result of being included in the Reservoir Fire District. Impressive. As I looked at Ray Priest's other videos, I noted one taken of the Flowood Nature Park and thought it might be interesting to my readers. Great stuff. Another incredible drone video of Rez landmarks; just in time for Spring. This one submitted by Ray Priest. Thanks for sharing, Ray. According to this Clarion Ledger article, accident reconstructionists report the Lake Harbor fire truck failed to properly yield at the intersection of Carter Store Road and Highway 43, leading to the death of a ten year old child (read about the accident here). 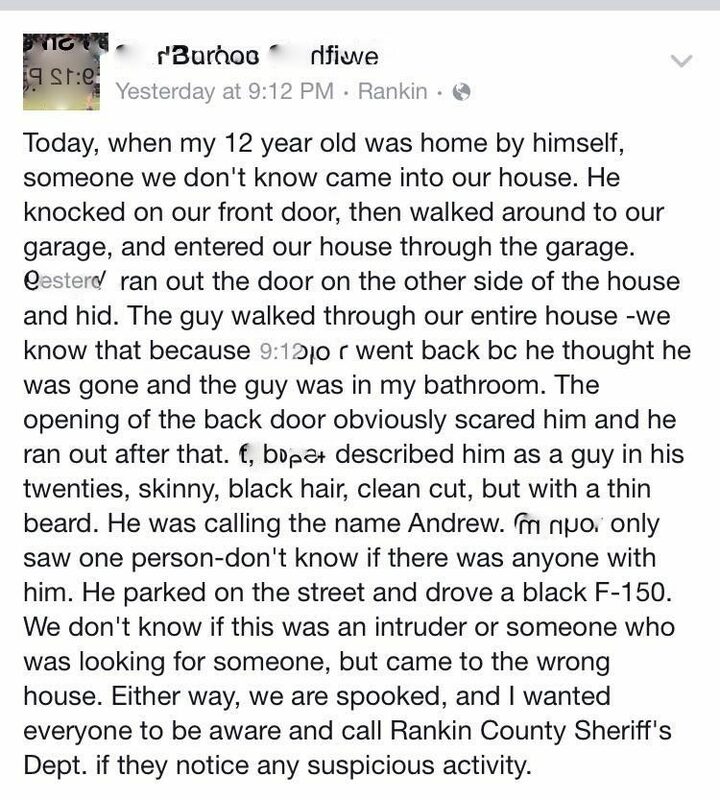 Apparently, the report was released by the Mississippi Highway Patrol. A good way to keep up with the business of the County is to read the agendas and approved minutes of the Rankin County Board of Supervisors' meetings. The Board stays up to date on their website. The most recent minutes published are from the March 15, 2016, Board meeting. Jimmy Loper is the new owner of Bonny Blair's. Enjoy! For all those, like me, doing a bit of spring cleaning around the house and garage, Rankin County will hold their annual "Clean Up" Week between April 18 and the 23. In the Rez area, that means residents can take non-hazardous household items or debris to the Reservoir Fire Station No. 3 at Northshore (NOT the headquarters on Spillway, but the station on Northshore Causeway next to the church). More specifically, between 8 a.m. and 5 p.m., the items that can be dropped off there are bulky items, white goods (appliances), trash, limbs, recyclable goods and other non-hazardous items. If you have hazardous, but non-explosive items like paint, pesticides, batteries, brake fluid, chlorine, tires, varnish, turpentine, etc., you must take them to the Multipurpose Pavilion at 649 Marquette Road, between 8 a.m. and 1 p.m. Radioactive materials, explosives, hazardous waste from commercial sites, infectious materials, etc., will not be accepted. For more info, call the Rankin County Solid Waste Department at 601.825.9213. -- "Keep the Rez Beautiful" celebrates 5th Project Rezway. As you know, I am a big fan of the work KTRB does. Project Rezway is one of their big fundraisers, and it is happening one week from today. -- Lake Harbor fire truck collides with SUV; one dead. More tragedy. -- Fun Run and 5K to benefit Neese family. Previously discussed here. It happens Saturday at the Flowood Nature Park. Tie them shoes up for a good cause! From a reliable source on all things Bonny Blairs: Bonny Blair's, aka Big Dave's Sports Cafe, is closing when the beer runs out. Want to own and operate a pub in the Rez area? Make an offer. **UPDATE** -- Jimmy Loper is the new owner. 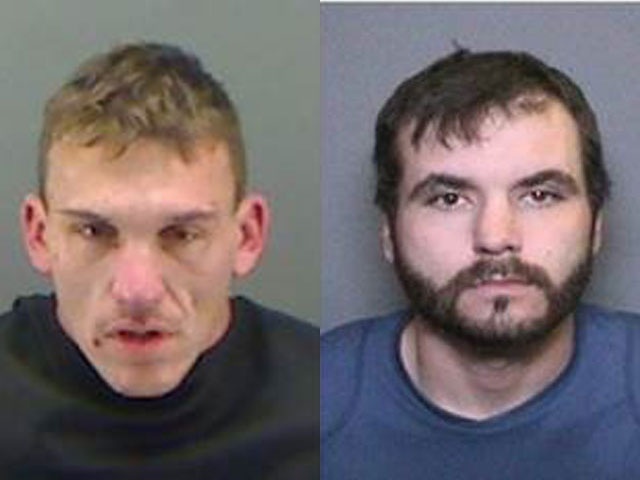 By now, all Rankin Countians have heard of the two Florida prisoners who escaped from their transport van in Florida, and were last seen running through the woods in Rankin County after a traffic stop. One apparently stole a Ford F-350 from a local and drove to Longview, Texas, where he was spotted checking into a hotel. The other eluded law enforcement, causing the shut down of Pelahatchie schools. 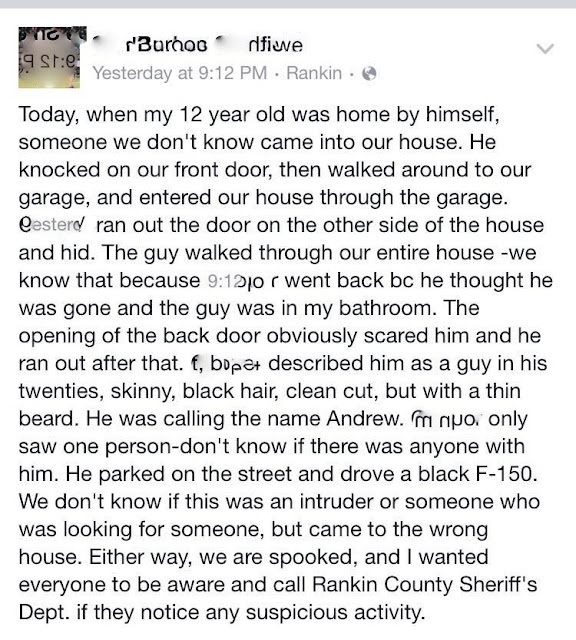 Authorities presumed he absconded, but apparently he never did find a ride out of Rankin County. I don't know the details, but apparently, James Thomas Banks (the less scary looking of the two) called for a cab at 6:30 a.m. this morning. The alert cabbie then called the Sheriff's Department and the two coordinated Banks' eventual detention. Classic! Here is the story from yesterday's Clarion Ledger. 2) In a 3-2 vote, a food truck was given a variance so it could set up shop in the empty lot across from ChristWay church on Old Fannin Road. Given my children's love of The Great American Food Truck Race, I'm sure they will be eager to try it out. So, Pisgah has this incredible teacher, Lillian Sims, who created an academic college signing day for her students. All students graduating from Pisgah High School and going on to an institute of higher education can take part. It celebrates the students' achievement of graduating high school and continuing their education. We highlighted the event from last year with this post. This years' signing day is Friday, May 6. Local businesses are helping, like Apple Annies (just look at the list of sponsors at the bottom of this page). You can help, too! We (and the seniors) would really appreciate your help if you can spread the word! Feel free to share this status and remind everyone that we are the first/only school in the state to do this for our seniors! Tragic, tragic. A Lake Harbor Volunteer Fire Department Fire Truck collided with a Ford Escape yesterday afternoon at the intersection of Highway 43 and Carter Store Road in Sandhill, causing the death of a ten year-old child. The mother and two four year-old children are in critical condition after being airlifted to UMMC. The father is in stable condition. The Clarion Ledger article is here. -- The Audit and Forestry Committees failed to even make quorom to meet during February. -- The Board approved the hiring of Kenny Prince, Beaver Eradicator Extraordinaire, at an hourly rate, not to exceed $4500 annually. Anyone know why they pay by the hour rather than the pelt? Just curious. -- A cost analysis study will be performed on the Reservoir Police to show "the cost of police per hour, per activity, per location, per mile or county, on land, on water, etc." Interesting. -- No bids were received for lease of a 4-acre parcel off Spillway Road. I don't know if this is the same 4-acre parcel designated for the proposed restaurant, but, if so, that has to be good news for said restaurant opponents. The Board did approve re-advertising it, however. -- Sewer lines need fixing. -- The District hired an expert in "Traditional Neighborhood Development" to the tune of $20,000.00. Rez Rep. Brent Powell shares with me his weekly update of the "goings on" at the State Legislature. I am appreciative, and I hope you are, too. The links below will take you to the actual bill. Enjoy! House members faced another major deadline this week as they continued to address Senate bills on the House floor. Requests for bills to be read continued this week. By Wednesday, House members needed to address all general, nonrevenue bills received from the Senate. If a Senate bill was not taken up and passed by Wednesday, it died on the Calendar. Thursday was the last day for reconsidering Senate bills, and Friday was the deadline for tabling Motions to Reconsider. On the House floor, members debated a variety of bills. Senate Bill 2364 creates the Juvenile Detention Facilities Licensing Act, which would create licensing for juvenile detention centers and provide definitions, duties and responsibilities. The intent of this bill is to create uniformity within the system. The Mississippi Department of Education is tasked with promulgating certain rules for educating juveniles during their stay, which is typically 3-20 days. The bill passed by a vote of 118-1. Senate Bill 2238 prohibits the Division of Medicaid from reimbursing the Planned Parenthood Federation of America (PPFA) for abortion services. Supporters of this legislation believe the taxpayers of Mississippi should have a voice in how taxpayer dollars are spent. Opponents argue that because a total of $544 has been paid to PPFA from the Division of Medicaid over the last five years, this legislation will result in lawsuits costlier than that amount. They also contend that PPFA provides educational services to the public on birth control, fertility awareness and information on pregnancy. The bill passed by a vote of 77-37. Senate Bill 2070 attempts to increase the rate of breastfeeding in Mississippi by requiring hospitals to adopt pro-breastfeeding policies and to educate all employees who interact with mother and child on this method. The bill would also require the Department of Health to develop a policy and video detailing the benefits of breastfeeding. An amendment was added to reenact the Mississippi Small Business and Grocer Investment Act, which would encourage food retailers to locate to underserved areas. The bill passed by a vote of 104-15. Senate Bill 2493 establishes the Supporting and Strengthening Families Act. This legislation is designed to give families facing crises the ability to execute a power of attorney for voluntary guardianship for their children for a year. This does not impact parental rights. It provides parents a tool to be proactive before the Department of Human Services or the court systems become involved. Children would be placed with a family member or third party. The agency involved would require a full criminal background check on any third party. Children would be reunited with the parent once the parent's issue is resolved. The bill passed by a vote of 118-0. Senate Bill 2418 provides that domestic abuse would be additional grounds for divorce. Currently in Mississippi, there are 12 grounds for divorce. The bill passed by a vote of 115-1. Senate Bill 2603 permits municipalities with a population of 500 or less to choose to elect three aldermen instead of five. Enactment of this measure would affect 77 small municipalities. The reasoning behind this legislation is that many of these small areas have difficulty finding qualified people to run. This is not a mandate but a choice for the applicable municipalities. The bill passed by a vote 117-2. Amendments to add a state lottery were added to two bills this week. --Senate Bill 2541 develops a study committee to learn more about Fantasy Contests. This committee would be tasked with addressing the guidelines for those activities that should be regulated. The gaming commission would then examine the report and return to the legislature with a recommendation. The bill passed by a vote of 83-37. --Senate Bill 2524 revises the compensation for bingo supervisors and alternate supervisors in the Charitable Bingo Law. The bill passed by a vote of 79-41. The House addressed and passed all 55 Senate Appropriations bills on Thursday in advance of the April 5 deadline. At the beginning of the Session, the chairmen from both the House and Senate Appropriations Committees meet to divide the Appropriation and Revenue bills. Once each chamber votes on the measures, they go to the other chamber for approval. All bills must pass both chambers in identical form before they can be signed into law by the Governor. House Appropriations Chairman Frierson presented a detailed explanation of Senate Bill 2924, the “Deficit Bill:” The House plan offers $5.4 million more than the Senate plan. The House proposal intends to allocate funds from the Working Cash Stabilization Reserve Fund or the Rainy Day Fund (RDF) for agency deficits. The RDF is considered full at approximately $400 million. If the House plan passes, $286 million would remain. Under the Senate plan, approximately $350 million would remain. Chairman Frierson recommended to the committee sending the bill to conference. Once SB2924 gets to conference, he will suggest to the Senate that if we adopt their plan, we amend the “Transfer bill” to permit the Governor authority to pull from more from the RDF until June 30, 2016. Current law allows the Governor to transfer up to $50 million from the RDF. Some agency deficit amounts include: $51 million for the Division of Medicaid; $5 million for the Department of Health; $4 million for the Institutes of Higher Learning. Many of the bills debated toward the end of the week were before the House for concurrence or non-concurrence. If the House voted to concur or agree with Senate amendments, the bill was sent directly to Governor Bryant to sign into law. However if the decision was not to concur but to invite conference, the bill is sent to a conference committee of three members each from the House and Senate. --House members voted to concur with the Senate on House Bill 1523, the “Protecting Freedom of Conscience from Government Discrimination Act,” by a vote of 69-44. Supporters of this bill believe legal protections should be in place for businesses and public employees who believe that marriage occurs between a man and a woman. Enactment of this measure would provide protection against discrimination for those who hold those beliefs. Opponents argue the bill is discriminatory. They also contend that public employees should adhere to the Supreme Court’s ruling on marriage. --House Bill 899 revises certain provisions regarding the administration of the Public Employees’ Retirement System. --House Bill 809 authorizes online voter registration under the authority of the Secretary of State. For those bills going to conference, the Speaker of the House and the Lieutenant Governor each assign conferees from their respective Chambers who will work together to reach an agreement on the language of the bills. Once the conference committee members agree on the language, the bills are taken back to each chamber and voted to either pass or recommit the report for further conference. --House Bill 289 authorizes the State Board of Health to charge fees for services based on the cost of providing the services. --House Bill 797 revises the election code. --House Bill 1498 extends the period of one year that the Department of Corrections is exempt from the State Personnel Board. First weekend in April brings a number of events. Take you pick and get outside! Fri/Sat -- Zippity Doo Dah Weekend in Fondren. It's a carnival-parade-fleamarket-party! Friday -- Jackson Zoo Brew. Friday -- Run Now, Wine Later 5K at the Renaissance. Fri/Sat/Sun -- Crossroads Film Festival at the Malco. Saturday -- Rez Area Neighborhood Garage Sales. Saturday -- NatureFest at MS Natural Science Museum, 10 a.m. to 5 p.m.
Sunday -- Flowood Euro-Summit 3 to 6 p.m. Table 100.